It’s difficult to get over to the younger indie kids how important BBC Radio 1’s John Peel Show was during the latter decades of the 20th Century. 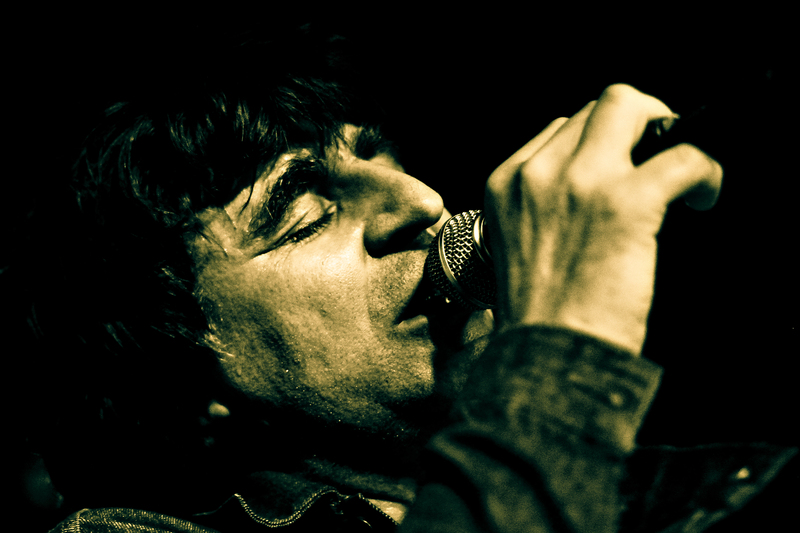 But I was hoping Mark Burgess could help, the front-man and bass player of The Chameleons – enjoying a fair amount of fan-base interest all these years on – having told me his band’s sole ambition on forming in 1981 was just to get played by Peely. He wasn’t alone in that thinking either (a similar conversation with fellow Manc, Inspiral Carpets and Rainkings front-man Stephen Holt a while ago springs to mind), yet Mark also struggles to explain just how influential the late broadcaster – who died 11 years ago – was. 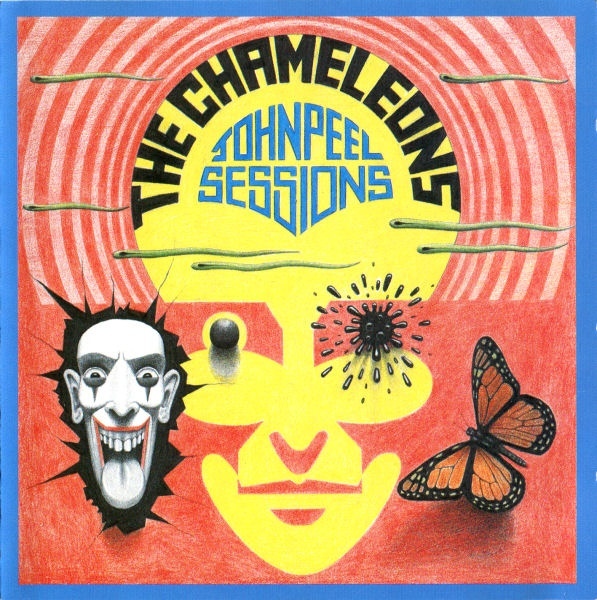 As it turned out, The Chameleons’ over-riding ambition was soon achieved, this four-piece from Middleton, Greater Manchester, getting their first Peel Session within months of starting out (not returning for their next until exactly two years later). At that stage the band comprised of Mark, guitarists Reg Smithies (also responsible for the majority of the band’s distinctive sleeve artwork) and Dave Fielding (along with Reg previously with Years, and before that with writewyattuk favourite David Gedge of The Wedding Present in his first band, Sen), and drummer Brian Schofield (who also has a Gedge link), the latter ‘gun for hire’ in time making way for John Lever. And according to Mark, that initial radio session on June 8, 1981 – first broadcast nine evenings later – worked out to be be just what they needed. “It all happened very fast, in fact the day after our session for John Peel went out. And our lives completely changed. We were really surprised how incredulous people were when we later explained how we got on there. We didn’t realise the length others went to get his attention. All we did was go down and hang around outside the BBC, waiting, giving him our tape and talking to John for about 10 minutes. “That was on the Friday, then on Monday morning he phoned me at our house. I thought someone was winding me up, doing an impression. He had to convince me. I think he was really impressed, but when we approached him, I think he thought he was being attacked! Shortly after, a deal was done with CBS/Epic Records, and it seemed like the band had truly hit the big time, with the powerful debut single In Shreds (which went on to make that year’s Festive 50 on the Peel Show) the first fruit of their subsequent studio time with respected producer Steve Lillywhite. But from that promising beginning, The Chameleons’ machine seemed to grind to a halt, in what proved to be a frustrating period for the Mancunian quartet. I’ll start before all that though, revisiting Mark’s first outfit, having reminded myself this last week of a few recordings he made with The Cliches, like 1980’s Leaving Town and Whole Wide World, which carry more of the spirit of The Clash and fellow Manc outfit Buzzcocks than the sound of his next band. Were they big influences? There also seems to be a Teardrop Explodes influence with both The Cliches and the early Chameleons, something those who might mistakenly tar the band with a more Goth-like brush seem not to hear. 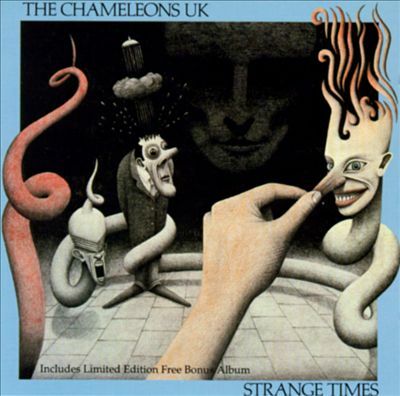 For me, that first Chameleons single and those early recordings offer elements of Echo and the Bunnymen, The Cure and The Psychedelic Furs too, while that distinctive guitar sound was arguably something later associated on a larger commercial scale with The Cult, a band formed over the other side of the Pennines (in Bradford) at around the same time (first as Southern Death Cult). How soon does Mark reckon The Chameleons had what they were looking for, sound-wise? But then came the frustration at how slowly the whole machine was turning, as Epic froze on that first album. “It became obvious how our opinion of what constituted a great recording was very different from the more commercial interests CBS and even Steve Lillywhite had. “When we recorded our first session it was so obvious what a great recording it was, so we were perplexed as to why they didn’t feel the same way. We were naïve and not thinking about chart placing and all that. Instead, the first two albums came out on Statik Records (although the fact that Virgin dealt with the label’s distribution ruled out any indie chart placings, and therefore arguably a little critical kudos). Were you free agents by then? “Steve Lillywhite decided to pass on the album and do the third U2 album, so we needed a new producer and were introduced to various options which we weren’t impressed by. In the end we said we’d much rather do it ourselves with our regular engineer at Cargo Studios in Rochdale. “After six months dancing around we were eager to record our songs and make our LP, and the next day we were off the label. They compensated us quite handsomely though, so we then had the luxury – and the arrogance, if you like – to do it ourselves. The first sign that the band were up and running was the stirring Up the Down Escalator single at the beginning of 1983, followed a month later by As High As You Can Go and that June’s A Person Isn’t Safe Anywhere These Days, the latter two with hints of Julian Cope for this scribe (that’s a good thing, by the way, as far as I’m concerned). And then two months later we had the eventual release of defining debut album Script of the Bridge. 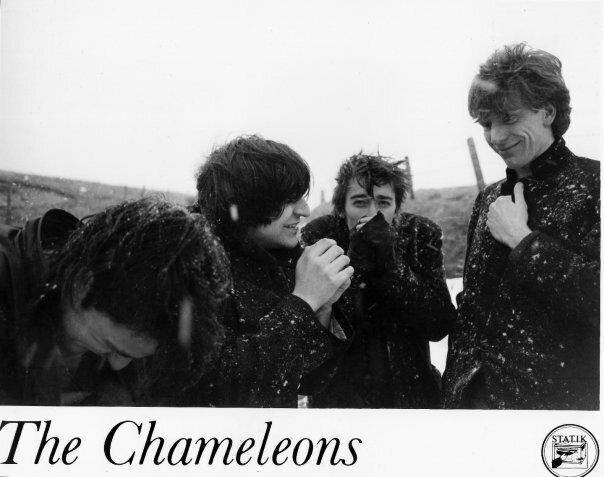 The Chameleons were truly up and running now, and were at Maida Vale for their third (and final) Peel Session in May 1984. And they were back in the studio again, this time north of the border, in Inverness at the beginning of 1985 for their second album, pre-empted by the mighty Singing Rule Britannia single – including its run-off tribute to The Beatles’ She Said She Said – in August 1985. What Does Everything Mean? Basically then saw the light of day two months later, and was also largely well-received. And – skipping forward a little – then came the move to Geffen Records for the third album. So I’m guessing Mark felt they’d learned a lot from all those experiences by then. Again we got a taster first, this time through the beguiling single Tears, followed – on the same day as second single, fans’ favourite Swamp Thing – by the release of the Strange Times album at the beginning of September, 1986. And it’s an LP that Mark remains particularly proud of. In time, Tony Fletcher – widely seen as a calming influence on the band at a time when differing opinions were coming to the fore – agreed to manage the outfit, but it was a short-lived affair, the new boss’s sudden death after a heart attack ultimately leading to 1987’s split. “Tony worked for the management company, coming in at their behest to help us, and we developed a very close relationship from there. We wanted him to be our official manager, but for ethical reasons he couldn’t do it, as he was employed by the company managing us. In the end he decided that was what he was going to do, and we were very excited about that, not least as there were a lot of acts he had said no to. He was very much admired in the business. “But about three weeks after that, he died. That knocked us completely for six. I think it was more things coming to a head, tensions within the group he held in check. Without his influence it kind of erupted. I was very keen to get us back to America, where we were more respected, and Tony was of the opinion we should go out there for a couple of years. As it turned out, Mark worked with the band’s drummer soon after, on The Sun and The Moon album project, released on Geffen in 1988. 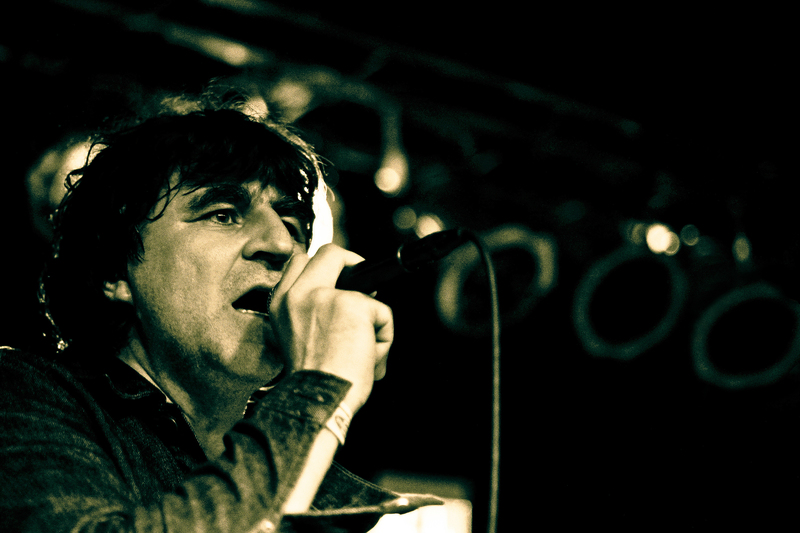 Meanwhile, the other two band-mates recorded two albums as The Reegs, and – skipping ahead again – Mark recorded his debut solo LP in 1993 and worked with three other bands before The Chameleons reconvened in early 2000, by which time Mark was based in Hamburg, where he remained between tours until 2010. So what had changed by then to bring about that band reformation? “As you get older you get a little less extreme and intense, and I knew the popularity of the band was still growing through being in touch with the fan-base directly via the internet. I was weighing all that up against losing these friendships I’d had for so long, when I got a message from Dave asking to meet him, which was surprising. First came the album Strip (2000), featuring older material reworked in an acoustic format, then the band’s final studio album Why Call It Anything (2001), and further acoustic album, This Never Ending Now (2002), as well as a reunion tour taking in Europe and America. So how does Mark sum up The Chameleons Pt. II? “Their idea was to announce it, then arrange a second night. Even then, Reg was saying, ‘Do you think it will really go to two nights?’ They had no idea – it became six nights! Then we did the (Manchester) Academy in June 2000, and I can’t describe how I felt walking out of there. It gave me one of the proudest moments I’d ever experienced with The Chameleons. The massive attendance and rapturous response after 10 years away was an unforgettable moment I’ll always cherish. That wasn’t the end of the story though, and in 2009 Mark and John Lever reformed to play back-catalogue material under the name Chameleons Vox. 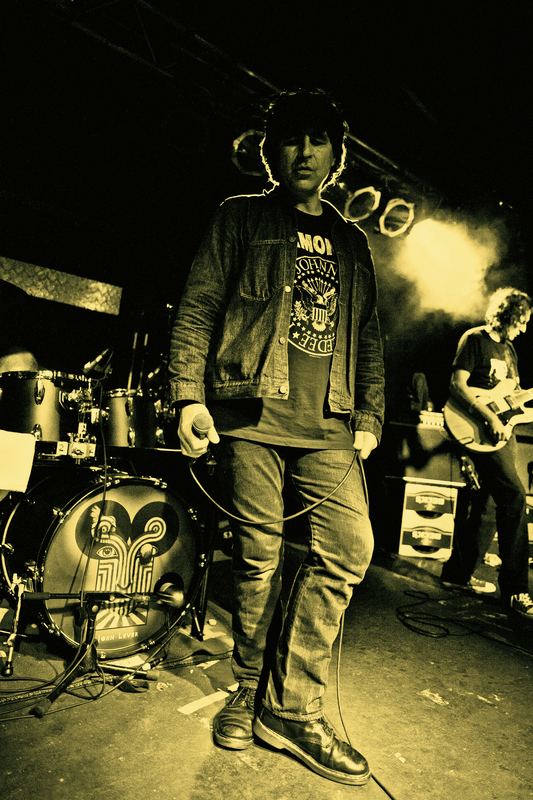 And while John is now back with Dave Fielding, performing and recording as The Red-Sided Garter Snakes, Mark continues to front a five-piece outfit under the Chameleons Vox handle, playing that original material. And next weekend (December 18/19), Mark and his band are back on old ground at the Manchester Academy 2 for a two-night filmed residency, Home is Where the Heart Is 2015, carrying on from where they left off last year – having played the second and third albums over two nights – as part of the venue’s on-going 25th anniversary celebrations. On the Friday night, The Fan & The Bellows & Early Recordings will see the band ‘revisit a lost gem in the back-catalogue’, playing their 1986 compilation in its entirety, along with a selection of choice cuts from the earliest days, the set including songs ‘that very rarely if ever have been performed before a wide audience’. Then on the Saturday night, taking its name from a track from What Does Anything Mean? Basically, they conclude their residency with P.S Goodbye, delivering a set made up entirely of fans’ favourites, attendees having been given the opportunity to vote for the songs they love best in ‘a farewell gesture of sorts’. Fans have also been able to snap up weekend passes at a reduced rate, accessing both shows and getting a limited edition Chameleons Vox laminate and lanyard, plus a free download link for an exclusive track recorded at last year’s Academy shows. And also on the bill are (on Friday) Evi Vine and From Carbon, then (on Saturday) old friends of the band Oskar’s Drum, a project by Patrick Fitzgerald and Yves Altana (Kitchens of Distinction/Chameleons Vox). It’s clearly not just the first-timers coming out to these shows either, with lots of younger fans turned on to The Chameleons these days. Is that down to bands out there who acknowledge your influence, like The Killers and The Editors? Has college radio in the US been important too? 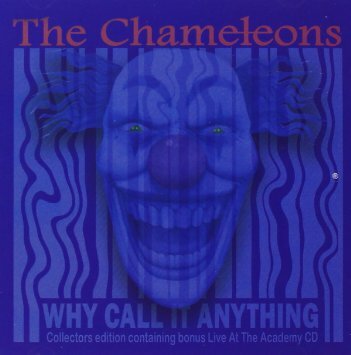 Looking at your latest homecoming, Manchester Academy has been an important venue for you over the years, but The Chameleons have been around longer. So which Manchester venues were important to you back at the beginning? Moving away from music for a while, I understand you worked for Manchester City FC for a while (in the mid-’90s). Do you still follow City, or do you see them as just another big money club now? But your Dad – Albert Burgess – played for Manchester United? Did that skill pass on to you? So where’s home these days? I’m guessing you’re living back in Manchester again. It’s not a bad life then, is it? But you need a bit of Manchester rain now and again just to remind you of your roots? I’m guessing it keeps you grounded. Talking of grounded, that brings me back on to the original Chameleons line-up, and the question I have to ask. Is there still animosity with your old band-mates? 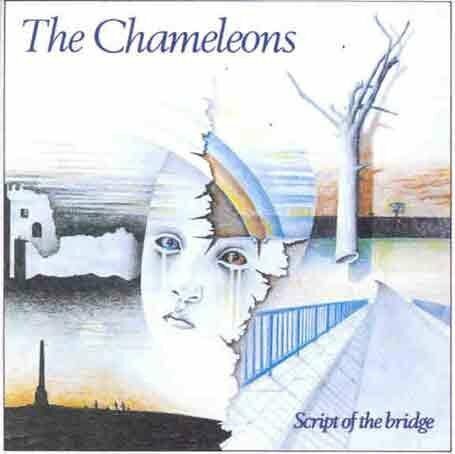 The official line is that your latest line-up, Chameleons Vox, is ‘a vehicle for the perpetual performance of Chameleons material by people who have a deep passion for the music and a desire to keep the music alive in the wake of the original band’s demise in 2003’, with yourself ‘backed by a loose collection of musicians currently spanning two continents’. Can you explain that a bit more? “It’s been evolving for the last five years. A lot of people have come and gone, and initially we weren’t really so concerned with getting the sound of the band, but just wanted the spirit of the music. All those who have been involved were all very passionate about this music, so initially that was the thing. “Then, as it grew, we were thinking that if we were going to do this we owe it to the music , the legacy of the music and the people coming to try and do it as well as we can. So the emphasis came on to trying to perfect it, and I think we’ve got to the point where the band I play with now play that music as well as it can be played outside the original line-up. In one interview I heard you suggesting Chamelons Vox was more like Star Trek – The Next Generation. So, as the Chameleons’ captain, would you say you’re more a Captain James T. Kirk or a Captain Jean-Luc Picard figure? Finally, do you have any regrets about the fact that – despite all your loyal fans, the love for your music out there, and the influence you continue to have – it was U2 who ended up making it big time, rather than The Chameleons? “Well, what does that mean, really? To have feelings like that you’ve got to be dissatisfied with your life, and I’m not at all. What The Chameleons had given me is the complete freedom to do what I want, when I want, where I want, and with whom I want. For further details and tickets for Chameleons Vox: Home is Where The Heart Is at Manchester Academy 2 (Friday, December 18 and Saturday, December 19) head to the venue’s official website link, or the venue’s Facebook page. This entry was posted in Music and tagged Chameleons, Chameleons Vox, Dave Fielding, Geffen, John Lever, John Peel, Manchester, Manchester Academy, Manchester City, Manchester United, Mark Burgess, Middleton, Reg Smithies, Script of the Bridge, Statik Records, Steve Lillywhite, Strange Times, The Cliches, The Red-Sided Garter Snakes, Tony Fletcher, U2. Bookmark the permalink. Think you’ll find that initially John had started ‘Second Skin’ with the guys from Bushart and Mark was asked to guest on vocals, first gig being at Manchester Roadhouse. After a few gigs, the name got changed and Mark assumed ownership of the project. Thanks for the feedback, Skell. The Borderline, Orange Yard, Leicester Square, and all the fans (myself included) were asking for Chameleons songs, but due to the powers that be this was never on the cards! Mark and the Fans respected that fact! So I can kind of understand his beef with John. Kool for you and not for me!